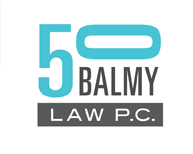 Balmy Alley | 50 Balmy Law P.C. Many of our clients’ murals brighten Balmy Alley just outside our door. The firm’s name, 50 Balmy Law, honors the open air mural gallery enlivening the street where the firm is located. See below for FAQs and an application if you would like to license the use of Balmy Alley murals. Great photos of Balmy Alley, historical and present day, can be found at Balmy Alley Real History. The firm participates in, sponsors, and co-produces magical events in Balmy Alley. Film makers, location scouts, producers, community people, and students often want to use Balmy Alley as a vibrant location for their films, videos, and projects. Carlos Santana did a licensed music video and CD cover in Balmy Alley, with licensing help from the firm. To seek permission to use any Balmy Alley mural please fill out an application for a mural usage license. However, please note we cannot guarantee that the muralist(s) will grant permission to use any particular mural for any particular purpose. Please also note that it could take at least two weeks for us to review your application and discuss with the muralist(s) as muralists often travel for work and are very busy. If many murals are involved, expect the licensing process to be somewhat lengthy. If you’d like more information about mural licensing, read our FAQs below. What law protects the murals from being reproduced without permission? Are there any penalties if I don’t get permission? But isn’t my intended use a fair use? The Film Commission gave me a shooting permit for Balmy Alley. Doesn’t that include the murals? How long does it take for me to know if I can use the murals? How much are the licensing fees? How do I get permission to use Balmy Alley murals? Do I really have to register my copyrights? Someone told me that as long as I put the © on the artwork with the date of completion and my name, I’m covered. The murals of San Francisco and other public art are protected by federal copyright law 17 USC 101 et seq. Simply because a mural is displayed on a street, it is not free for the taking any more than the cars parked there. Under the federal Copyright Act copyright protection exists for a work from the moment the work is created, and registration with the US Copyright office is optional (though certainly a good idea). Contemporary murals are almost never in the public domain, and it is not usually a fair use to photograph them, except perhaps as a personal memento of a vacation. For example, reproducing murals in films, books, on clothing, or selling photographs of them is not permitted without the muralists’ written consent. Such written consent normally takes the form of a “license”. Generally, copyright infringement occurs when a copyrighted work is reproduced, distributed, performed, publicly displayed, or made into a derivative work without the permission of the copyright owner. Infringer pays the actual dollar amount of damages and disgorges its profits. The law provides a range of statutory damages from $200 to $150,000 for each work infringed, and actual damages can be more. The Court may issue an injunction to stop the infringing acts. The Court may impound the illegal works. In extreme cases, the infringer may go to jail. While there are limited fair use exceptions (such as use for teaching, criticism, commentary or news reporting), it is generally the safest course of action to obtain permission or a use license from the artist(s) before you commence shooting. For example, depiction of a mural that coincidentally appears behind a news event like a traffic accident at the corner where the mural is painted probably is fair use. Using murals in travel articles or books about the Mission District is not fair use. Using murals as the backdrop for a photo shoot is not fair use. And taking photos of the murals and then offering them for sale in galleries or photo stock shops is not fair use. Student projects are not exempt from the requirement for permission from artists to use their murals and other public art, which are creative works protected by copyrights. However, artists are generally willing to let students use their work in student productions at no charge so long as the use is limited to submission to a class professor or teacher for completion of the class requirements. If you intend to post your class project on YouTube or make any other public showing of it, you have to get permission by filling out an application for the use of murals. Permits issued by the SF Film Commission do not include permission to shoot murals and other public art on the street. Fees paid to the SF Film Commission also do not include license fees that may be required to shoot murals and other public art. Please allow at least two weeks for the process of contacting the artist(s) and negotiating a license agreement. This is because the artist(s) could be traveling, and often times several muralists have created one mural and permission must be obtained from all of them. If many murals are involved, expect the licensing process to be somewhat lengthy. If it is an absolute rush, please call our office at 415-641-1116. Licensing fees vary depending on the artist, mural, type of production, and breadth of intended distribution. Some community and student uses are free. License fees for television, feature film, and commercial productions can range from $500.00 to $10,000.00. If you ask us to contact a muralist or muralists regarding permission to use their murals in your project, and you cancel your project or cancel filming of the murals after we have begun reaching out to the muralists, we will bill you for the time we have expended to that point. Also, we may ask for a deposit before we begin contacting muralists regarding your project. Submit the application to us by email. Send it to MuralLicensing@50balmy.com. We will respond to you in a reasonable amount of time, but if it is urgent, please feel free to call the office after you’ve completed the application. We’ll let you know the right person to speak with about a license agreement. We handle that for many of the muralists in Balmy, but not everyone. Once we know which murals you want to use, we can let you know your next steps. The tricky thing with copyrights is that for recent works (1978 or later) you do own the copyrights the moment your mural is painted on the wall, your poem is written on paper, etc. (“affixed in a tangible means of expression” is the legal term of art). Putting copyright notice on the creative work, while not required, is very important. That notice tells others that you intend to protect your copyrights. But, the law rewards those who register their copyrights. Without registering your copyrights, even though you own those rights, you can’t file a lawsuit, and you cannot claim statutory damages or your attorneys’ fees. All you can get are actual damages (your lost profits or the infringer’s ill-gotten gains), but those are hard to prove, and sometimes an infringer doesn’t make much or any money from their infringement. You do still have the equitable remedy of making them stop using your work and getting an accounting from them of how much they made, but again, if they didn’t make anything, and you don’t have a really strong history of licensing or selling your creative work, there may be very little money available to you, and an infringer can be bold enough to resist paying anything, knowing that you probably can’t pay your lawyer and they won’t have to pay your lawyer later either. And, without a copyright registration application being filed, you can’t even file a lawsuit! The only exception to this rule is for a VARA claim, which is where the harm done is damage to the original art itself. Where the harm done is from copying the original, rather than defacing the original, registration is required for effective enforcement. So what you may have been told before is true, you have your copyrights. You just can’t do much to protect them w/o registration. As to monetary relief, any infringement that happens before registration, unless it is within 90 days of the first publication of the creative work, has only an actual damages remedy. Most attorneys won’t take a contingency case if there are only actual damages, unless the potential net profits the infringer made from infringing your creative work are very high, hundreds of thousands of dollars. That’s because lawsuits cost so much in time and resources that unless the actual damages are very high, it is unlikely the law firm would recover even its costs of prosecution. Thus, the most important thing you can do to protect your creative work (other than creating it in the first place), is to register your copyrights in the work as soon as it’s created. We can help you do that, or you can do it yourself by going to the US Copyright Office website. Here is the link for registering works of Visual Art: http://copyright.gov/eco/.